The VA100 range from Vent-Axia is designed for domestic kitchens, bathrooms and WC's. Available as window, wall or panel mounted models. 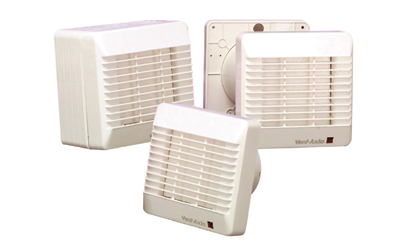 A range of fans with options of shutter, timer or humidity controlled versions. fixing hole diameter 117mm when wall kit is used.